Charley Ryan was a native of Graceville, Minnesota, but was raised in Montana. When he was 16, he sang and played the guitar over radio station KGEZ in Kalispel, Montana. 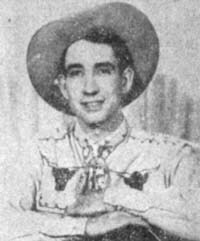 Later on, he formed his own band, the Montana Range Riders that did personal appearances throughout the northwest until 1941, when he joined the military service. When he finished his stint in the service, he organized his band again and renamed it the "Timberline Riders" and got himself a recording contract with Keyboard records. One of the tunes he recorded for Keyboard was "Hank Williams Goodbye". Charley also appeared on radio staions KFIO in Spokane, Washington; KRLC in Lewiston, Idaho; and KWAL in Wallace, Idaho. Cowboy Songs No.32; March-April 1954, American Folk Publications, Inc.; Derby, CT.